The Ospizio Marino di Lucca was a building located in Viareggio (Via Giuseppe Mazzini,12) in which children with tubercolosis were treated. In 1823 under Giuseppe Giannelli’s1 advice, the management of hospitals and hospices of Lucca had begun to experiment in Viareggio "marine treatment" for the orphanage children. But it was not until ten years later, in 1833, that the doctor from Lucca published a systematic work on the effects of sea water on the human body entitled Manuale per i bagni di mare. 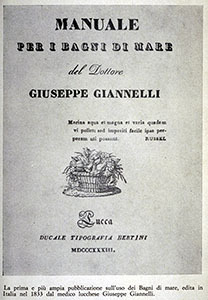 Professor Giannelli analyzed the components of marine water, indicating the beneficial effects to cure certain pathologies (scrofula, rickets, rheumatism, epilepsy, intermittent fever and skin diseases). He gave particular attention to scrofula2, this was a very widespread illness especially among children, it hit the lymphatic system often with lethal results. It was contracted mainly in very poor areas where malnutrition was also present. 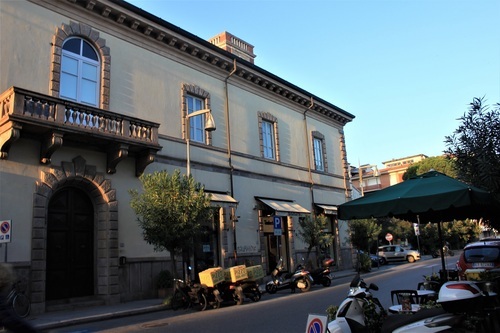 In 1842 the hospital of Lucca bought an old barracks of the "Carabinieri" (Police Force) in Via della Caserma (Viareggio) turning it into the first marine hospice in Italy. The bombardments of the second World War left no sign of this building. 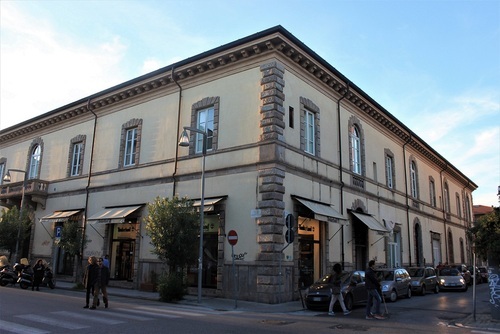 In 1872 the province of Lucca decided to build a new more spacious building in "Via Giuseppe Mazzini" dedicated to Umberto I3. The building which was situated between Palazzo delle Muse and San Paolino’s church could host 600 children a year. 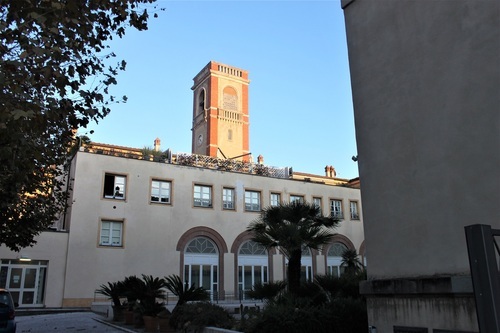 This was the first Italian institute for the cure of children with extra pulmonary tuberculosis. The children came for 20 days each in four sessions from 20th June to 13th September each year. 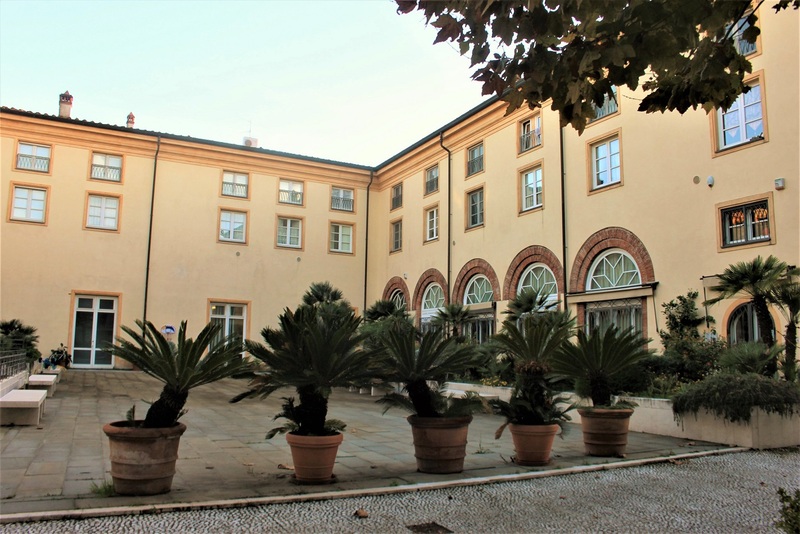 In 1911 a new building was bought to cure children who were seriously ill, and it became a permanent hospice (Ospizio Marino di Lucca (secondary location)). Over 70 beds were placed there. These permanent structures were purely for the cure of these children. Whereas the temporary structures were mainly for preventive purposes. Giuseppe Giannelli died in Viareggio in 1846 after only four years from the opening of the Ospizio Marino di Lucca. The studies that he carried out for the treatment of patients suffering from scrofulous would find reception at the Medical- Physics Florentine Academy thanks, above all, to the Florentine physician Giuseppe Barellai. Photos, main text and page layout by Eugenio Giannarelli ti.oiligriv|illerannaigoinegue#| and Caterina Traversi ti.orebil|isrevartaniretac#| (December 2016). The photo of "Manuale per i bagni di mare" was taken from this website. Francesco Carnevale and Esther Diana Giuseppe Barellai. Il dovere del medico, la situazione sanitaria dell'Ottocento e le nuove realtà epidemiologiche, Edizioni Polistampa, Firenze, 2014, pp. 243. Carlo Gabrielli Rosi, Il Palazzo delle Muse, Maria Pacini Fazzi Editore, Lucca 1973, pp. 225. 1. Giuseppe Giannelli was a professor of "Materia Medica" at the university Liceum of Lucca. 2. Scrofula was a sort of extra pulmonary tubercolosis which manifested itself with abscesses around the neck, armpits and groin. 3. 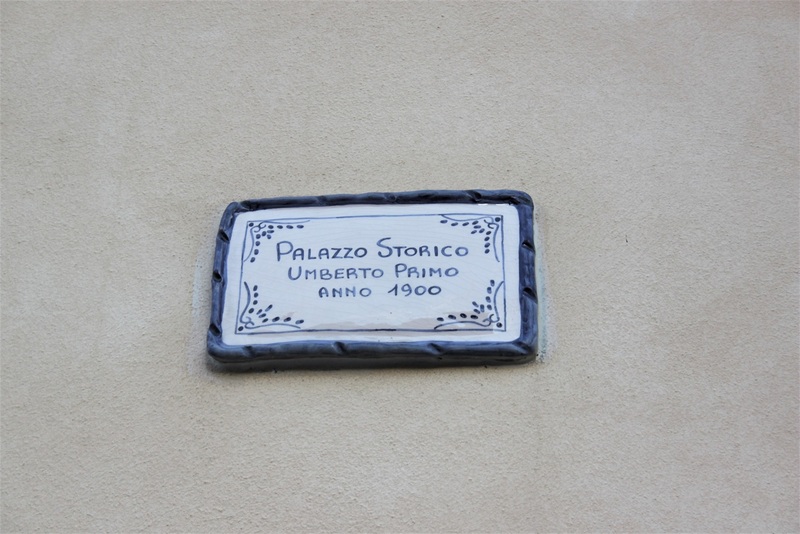 Nowadays the building dedicated to Umberto I hosts some private offices. 4. Gabrielli Rosi 1973, op. cit., pp. 99-100.